Home » How to win Pokies. Best way to play Pokies. Playing pokies seem to be so much fun but winning pokies adds more thrill to the game. Since modern pokies base your winnings on things like random number generators (RNGs) and computer software strategy doesn’t seem to have a place at the poker machine banks when these things make the odds impossible to overcome. Though winning this game is purely based on your destiny but tactical tips for pokies players do actually exist. It is not that these will have you a sure shot win but they can help you make smart decisions and choose behaviours that make playing pokies more fun. So what you need is to play pokies games responsibly with common-sense expectations, and make the spinning of poker machine’s reels more entertaining and fruitful. These are games of chance, but you can definitely increase your chances of winning, which is what these tips are designed to help you to do. Lets start with some very important questions and unconvering some common myths. What is the payout percentage, also called Return to Player (RTP)? The payout is the percentage of money, out of all the money deposited, that will be returned to you –if you play all the combinations of the machine. Let’s say that the payout of a machine or casino is 92%, which means that the casino pays out 92% of what it makes. Right? Now, depending on the amount of reels and symbols, this machine could have around 70 000 different combinations. Which means that to get 92% of your money you’ll have to hit every single combination which will take a long time. What is RNG or Random Number Generator? The probability to win a significant amount on pokies machines is slim to none. Normally, casinos do not disclose the odds on pokies and often players cannot be informed of their chances of winning, but the chances are low. Generally speaking, the easier the game is, the worse the odds are and because pokiesmachines are played much faster than other casino games they also take your money faster. Furthermore, whatever the pokies odds are, they are usually worse than table games such as baccarat and blackjack. In the real ‘pub pokies’ world, the profits are split between the pub or club and the poker machine operator (TabCorp, Tatts, etc). In the online world, works exactly the same the money is split between the casino operator and the software provider in this case. Is machine credits, casino credits same as real dollars? The table below explain how you can convert credits to dollars and viceversa. Can I lose even if I win? Yes. In order to have what I call a ‘Nett Win’ you will need to win more that what the Spin cost you. For example: if you bet 1 credit per line, on a 25 lines game, your total bet is 25 credits and – you will need to win over 25 credits on that Spin to remain ahead. How easy is to win a Jackpot? Jackpots are not easy to win. The odds of winning an online jackpot can be as low as 1 in 1,000,000. Remember that to win a Jackpot you will need to bet on all lines which we just learned is very costly. 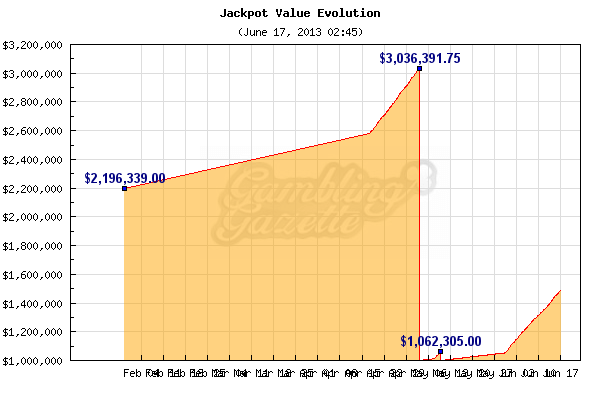 The graph below shows Mega Moola Jackpot evolution this year.You can see that they had only 3 winners this year out of around 1 Million players world wide. Is there any pokie strategy to win? The One Play Strategy: The one play strategy is that you play the pokies machine once with the highest amount possible. If you win, you play it again, if not you try another machine. It is a very simple strategy but does require a little bit of luck too, however it saves players from sitting at the same machine for hours. The Standard Deviation: This strategy uses an advanced mathematical equation to determine what are the chances of winning on a certain pokies machine. As in many other occasions this strategy takes patience, concentration and budget to complete, however a return is nearly guaranteed. 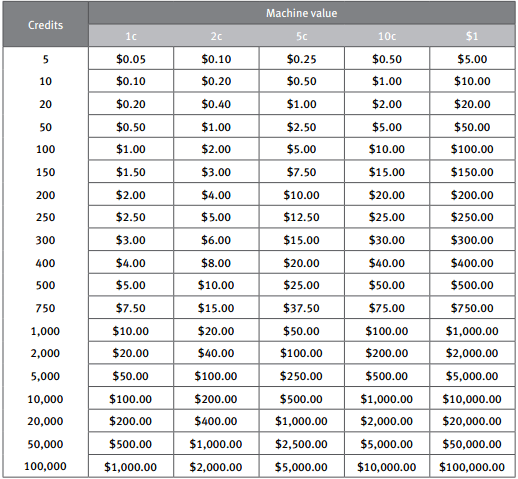 To use this strategy you first find an “equal pay’”pokies machine: meaning that the chosen pokies machine receives an amount related to the number of coins you bet on a line. For example, you get 20 coins returned for a 2 coins, therefore you would get 40 coins for a 4 coins bet. Now find the standard number of spins between wins, by playing until you win and playing until you win again, while counting the number of spins between each win. When you have the number of spins between each win for at least 10 times, you will now know the average number of spins between wins you can use on a high payout machine. 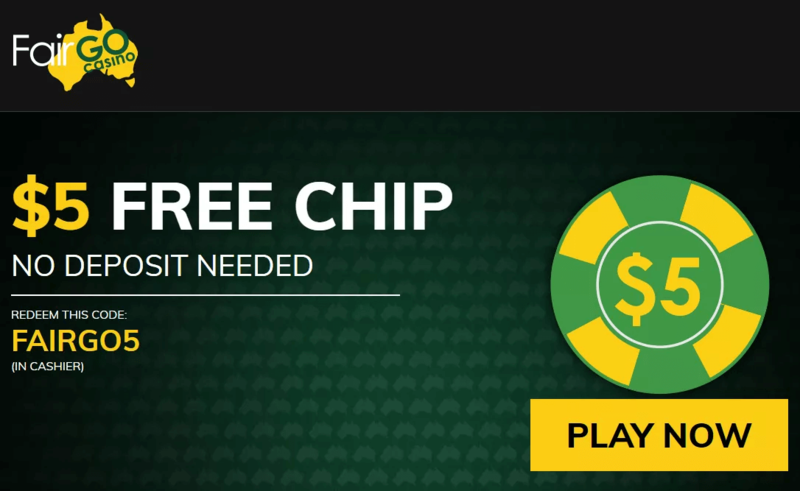 Sign up with at a new casino that offers no deposit bonus or such bonuse offers to get the best out of your online gaming experience and to test out this strategy. — Remember that there are different phases of payouts and money collection when playing pokie machines. You need to understand what the phases are and what phase your pokie machine is in, just in case your machine is not paying you. That usually means it’s time to move on to a different machine. — Both real Pokies and online pokies are programmed to payout less of what you put in, so chances are you will not win money. — Sometimes, you can help to move things along if your machine is not in a payout phase. You can do this by changing how you bet. The way that pokie machines are programmed means that switching how you bet can move the machine along to a payout phase a little more quickly. — It’s always a good idea to use the red or black features. These features double your money when you win, and pokies are all about increasing your wins to overcome your losses. Using this feature is very helpful. — Poker machines require you to think about the long term. For instance, you can do this by taking out your winnings once you have won a nice amount of money. If you play with $200 and you win $150, take those winnings out so that you are still playing with your initial $200 investment. This will help you to stay ahead, or at least even! — Along those lines, remember that you should not gamble more than you can afford. You can easily end up in a bad situation otherwise, as you may gamble to try to “win back” money that you lost that you really needed for important things. — The best mentality to have is to think of gambling as entertainment. Look at any money that you win as a bonus. If you gamble with your extra money, this will help you to think in the right way.